Microsoft has reversed all the announcements it made before regarding the various features of Xbox One. The Xbox One will not require online connectivity once every 24 hours and most importantly, it will support used games. To know what was announced prior to this new info, take a look at the article below! After a fortnight Microsoft has finally come out with details on how the Xbox One will function in regards to connectedness, DRM and Privacy. If people had any doubt before it’s gone now. Most, if not all their questions, are being answered and this is when we find out whether the Xbox One will get yay or nay from consumers. I’m sure there is someone in a Microsoft building squirming in his chair wondering how the masses are going to take to these bits of news. First of all, it’s a lot to take in. It’s hard to understand first what it all means but I’m going to try my best to break it down into comprehensible pieces. The website had three main news. The first, detailing the dreaded always-on-ness of the device is titled “Xbox One: A modern connected device”. And that much pretty much says it all, really. The Xbox One will require an internet connection. But only once every 24 hours. Is that a good thing or a bad thing? I’m sure that people would have preferred this little feature completely lacking but it’s still better than pulling data from the cloud directly (I’m looking at you Diablo 3 and SimCity) which require a persistent connection with their server. This case scenario is only applicable for YOUR Xbox One. If you’re signed in to a friend’s account then the Xbox will require connection once every hour. This kind of implies that your Xbox One is tied to YOUR account. And of course if particular games are inherently designed to take advantage of the cloud then that may just require a constant connection. The recommended broadband connection is a 1.5 Mbps line and apparently Akamai measured the average global internet connection speed at 2.9Mbps. The primary reason for being connected to the cloud in the first place is to check for updates and of course DRM issues. While this is a bold statement it’s not entirely false. Facebook has an active user base of 1.06 billion every month. And around 167 million users in the United States alone. That’s about one-third of the population. Xbox One has basically gone the way that Steam has – all your games are stored on the cloud, so you can log in to your account anywhere and play your games. Except Steam has a few advantages – you can play offline and won’t require you to connect every few hours. And best bit (or worst, depending on who’s wallet you’re looking at) is the amazing sales that they constantly have. And one last tidbit – if you do not have a broadband connection, Xbox One’s WiFi Direct allows you to connect to the cloud through your smart wireless device. Big Brother Kinect isn’t watching you. Some people had some privacy fears regarding the Kinect’s nature, whether you can even turn it off or not. And it turns out – well I was a little confused at first. The way it was phrased is that if you don’t want the Kinect sensor on while playing you can pause it. Which means… that you can’t turn it off, I guess. But while it’s paused it’s essentially off. And it won’t be recording or uploading anything you don’t want it to anyway. You can control what kinect does with the data, and can stop everything going to the cloud if you so desire. 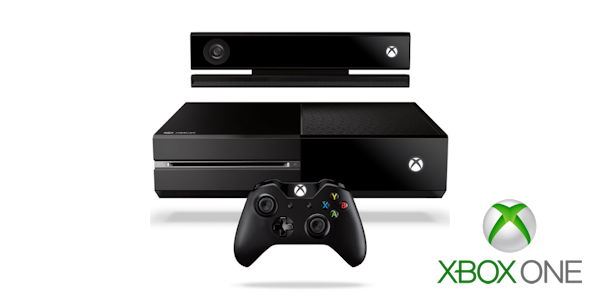 As mentioned before, turning off the Xbox One is a simple command “Xbox Off’. And while turned off, the sensor will be keeping its digital ears peaked for another simple command, “Xbox On.” All in all that doesn’t seem too bad. I’m still excited at the prospect of a proper futuristic holographic console system in my living room. And now we’re at the heart of the matter. As I have mentioned at the beginning (or somewhere there) of this article Xbox has gone in the way of Steam. You can buy your games on retail or digital and they’ll be signed onto your profile. You won’t need a disc to access your games – your entire library will be available to you through the cloud. Anyone you have over at your home has unlimited access to all your games (much like someone using your computer and playing on your Steam account). And you can give your family access to your entire library. You can select up to ten members of your family to share your games with. They can then play the games you own by logging on to any Xbox One. You and shared members can simultaneously play games any time. Trade-in and reselling your games become a little trickier. With the Xbox 360 you can sell off any games you don’t want anytime, and to anyone. But with Xbox One it’s not as open. For one thing, it all depends on the whim of the publishers. Even if outlets were interested in buying back games, they couldn’t do much with it if the publisher of that game decided against such a feature. And which retailer you can trade in at also would depend on the publisher. And lastly giving your games to your friends. This one might ‘cause more than a few frustrations among consumers. You can give a game you own to your friend if you’ve been on each other’s friendlist for at least 30 days. And then that particular copy of the game can only be given once, so the person you gave it to will have the rights to that copy forever. This is definitely going to rustle some jimmies and cause some ripples in the community. In fact, people within my very own circle have already made the decision to leave their fandom for the PS4. We can only wait and see what happens in the future when the console is released to the market and the dust has settled. We want to hear your opinions on these latest news. Leave a comment! Are individuals good reasons actually very good enough to base a fairly vital choice on. players so don’t hesitate. Availing is the latest craze across the consumer segment these days. Some weird moves they’ve made there. That’s what I think. Haven’t made up my mind yet about abandoning Xbox, but I won’t be standing in line for one when it first comes out. I’ll just see what people say/think after playing it for a while. I agree. While I’ve never been a console person, I always did side with the Xbox 360. But aside from the deal with the used games it doesn’t really affect most gamers I think. Everyone is always online anyway. Only when someone makes it an obligation that people object. Microsoft’s marketing is just pretty dumb. You can’t make a game console and then market it with other entertainment in mind. Sony on the other hand is doing the opposite, making a game console (which I’m sure will have similar features) and saying it’s primarily for gaming. People use Xbox for Netflix anyway.